Prof. Leung is, to the best of my knowledge, no radical nor post-modernist. He writes on power and space, on urban development, civic participation, and is often concerned with the effectiveness of various forms of popular movement. It is his habit to maintain a distance--a critical distance, as it is fashionably called--between his reflective self and the many discourses and mobilizations that must, by their very purpose, daily lay claim to his, as well as other parties', attention, in this great market-place of Definitions. It is indeed such a market-place, this domain of discourses and mobilizations; for every participant articulate enough to speak, or motivated enough to act, tries but with every means to form an opinion, to delimit a vision, to impose a view, to defend an account, to mark out a set of recollections, to steer the course of public reactions: in brief, to Define the collective consciousness, in ways that the Definers themselves see fit. Prof. Leung is not unversed in the writing of Foucault; to that degree he should be most familiar with the picture I just painted of the market-place of definitions. He is, however, not particularly attracted to that picture, finding it rather unprogressive and uncongenial to an open society. "只有保持無條件的開放，才能尊重城市發展的多元," said he. But how? "必須同時對新一代就所謂「香港性」的捍衛，和任何所謂「新香港」的建立保持警剔。對香港的理解，我們該鼓勵新一代去參與，然而以建立新的定義來打倒舊的卻不見得有任何作用。" So on the one hand Prof. Leung would have more young people join the market-place, each putting forward his own idea about HK ("more participation"); on the other, he would enjoin these young people never to try to impose their ideas on others, but rather to keep them well-guarded as individual contributions, tentative, experimental, limited, partial, open to challenges and revisions, etc. ("no definition"). The slogan "More participation, No definition" is hardly novel these days. In various incarnations the slogan is heard in many quarters; but the spirit whereof remains this, that there is something intrinsically good about heterogeneity, such that any attempt at reducing it must be greeted with the maximal suspicion. Definition is bad, because it reflects power trumping the dissenting voices. Aversion to finality, even if that finality be never reachable, but remain only a regulative ideal, or reflect merely a desire to put forward the most compelling case of one's party; even so, the said aversion maintains itself sufficiently, giving rise to such a temperament that, in the last analysis, necessarily rejects all sorts of strong commitment and deep identification. For what is a commitment if not a willing curtailment of possibilities? and what is an identification if not an acceptation of the centrality and priority of that with which I have identified myself? The aversion to finality has made Prof. Leung suspicious of all sorts of strong commitment and deep identification. In one place, this aversion takes the form of a criticism of the partiality of representations. "香港主流的土地開發主義固然是霸道，卻不見得現時挑戰它的本土論述就更為開放。" --Why? 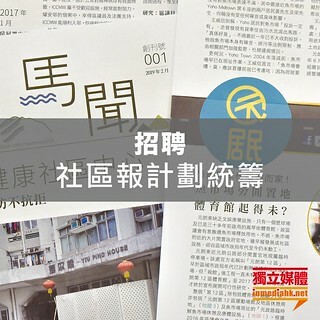 Prof. Leung continued--"一篇又一篇的抗爭文宣告訴我們，露天市場必然地更有人情味，舊區小店才是「真正的香港」。文化界的朋友高呼舊區的消失等於香港被「消滅」，任何的商場都及不上街道的「港式風格」。這些說法雖然感人肺腑，邏輯上卻和《心繫家國》訴說毛筆書法就等於中華文化一樣，同樣是依靠缺乏驗證和以偏概全的例子，來激發公眾對某些地方的情感。" I have to confess that I fail to see the force of the criticism Prof. Leung meant to make. "同樣是依靠缺乏驗證和以偏概全的例子": Did he mean that more empirical research on the topic would the better enlighten us as to what HK really is, would thereby enable us to select the best representation of it available? But to represent HK is not merely--not even chiefly--a matter of empirical documentation. The spirit of an age, the character of a place, the recollection and aspiration of a people do not reside in cold numbers nor in bare facts. Were Quantity the final arbiter, The Apple Daily must needs be part of "真正的香港." Well, in a way it is; but no party to the current debate, I presume, would be happy to allow it. The criticism of partiality ("以偏概全") betrays an underlying aversion to the elimination of heterogeneity. It is, of course, also an aversion to exclusiveness; for to eliminate, albeit only in representation, is to exclude. A representation of the age, the place and the people offers the last-mentioned a vision of their community, of their values, and, most importantly, of who they are. Representation, in short, informs identification. Prof. Leung's conundrum is therefore: How is identification possible without being exclusive? And he seemed to find an answer in Prof. Massey's writing. It is not hard to divine what sort of an answer it might be. If identification and commitment must imply a course of psychological transformation reaching towards finality, and if finality must imply exclusiveness; then the only way out is to limit identification and condition commitment. One may reach for multiple objects to identify with ("multiple identities"); or base one's commitments on multiple events over time, so that old commitment can always be modified by new experiences ("preference for process"); or, and mostly easily, blur the objects of identification and commitment, as if one were identified with and committed to everything and nothing ("blurring the boundaries"). These are, if you will, standard answers; in a word, they all build upon an attempt to distance oneself from all the encumberings that might, if taken seriously, compromise the freedom of the self to choose. But the concern here, I concede, is not the freedom of the self, but rather the freedom of others: One advantage of allowing the self this freedom to choose is, according to the standard answers, that the same freedom would be allowed others, in which way maximal heterogeneity would be made possible. And yet, what sort of identification and commitment would this be, if the standard answers be acted on? It would be, I suppose, the demise of every form of collective identity. For at the end what the stadard answers purpose is, that members of a community no longer identify themselves with a certain representation of the age, the place and the people (which might be exclusive), but only with something each at his own choosing, every attempt to define a representation for the community being de-legitimated a priori. Such a thought is reflected, I believe, in the following lines: " 從這角度去看九七以來的香港，可發現本土的標幟雖然已從過去教科書所述的「水深港闊」或「適應力強」過渡為「蛋撻」與「菠蘿油」，本質上卻仍然是一個對香港獨有內在特質的追求。也就是說，我們只是更換了所標榜的偉大符號，卻沒有質疑這些偉大符號是否應該存在。" The suspicion last-mentioned can point to only one legitimate answer. That answer also implies that if identification must needs lead to exclusiveness, then Prof. Leung would no doubt have us give up as much of it as the preservation of heterogeneity requires. No mention is made, in the present essay, of Cosmopolitanism; but everywhere one smells of it. The ultimate form of "local identification" permitted by the standard answers is a "loose identification with the local," the self remaining this wise largely un-identified and un-committed. I do not know in what sense is all this necessarily a mark of Progressivism, though it is a judgment Prof. Leung has not hesitated to urge upon the many Definers in the great market-place. Perhaps Prof. Massey--and therefore also Prof. Leung--can be taken to urge, however tacitly, the triumph of the individual over the collective, which necessitates the perennial Undefinability of the latter by any coalition of the former. It remains not entirely intuitive, however, that such a triumph must be all to the good of the community. To keep oneself perennially un-identified and un-committed; to deny the relevancy of every proposed representation of the whole; to repress every desire of the self to be joined, in recollection and in aspiration, with some larger (but still earthly) self; may exact no small a price psychologically. Not every one a Montaigne, but even he would have no qualms to have the whole defined somehow. For stability--constancy--he did hold dear. Ours is admittedly not an age of upheavals; but isn't it possible to find, in the determined pursuit of heterogeneity, in the uncompromising aversion to finality, the seed of a longing, namely, the longing of upheavals in the realm of identities and commitments? It may be objected that Prof. Leung would have none of this; for his goal is but to combat the enthusiasm of the mobilizers. It is nonetheless clear that he could have combatted them more directly, viz. by pointing out what is wrong in their representation of HK. If, however, it be admitted that what is wrong is not their representation, but their very attempt at representing; then all my earlier allusions to the pursuit of heterogeneity and aversion to finality would be justified.